Long before he made the jump to the NHL and years before he reached a coveted big-league milestone, the kid from Livonia, Michigan was turning heads as a member of USA Hockey’s National Team Development Program (NTDP). 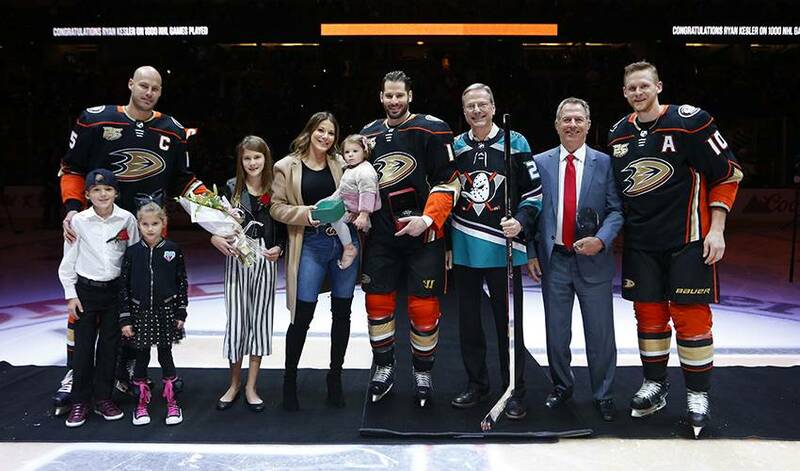 On March 5, Ryan Kesler became the 333rd NHL player and 49th American player to skate in 1,000 games, reaching the mark with the Anaheim Ducks in a 3-1 road win against Arizona. For those who know him well, including Scott Monaghan, Senior Director of Operations, USA Hockey, NTDP, seeing the 34-year-old veteran join some impressive company is certainly cause for celebration. 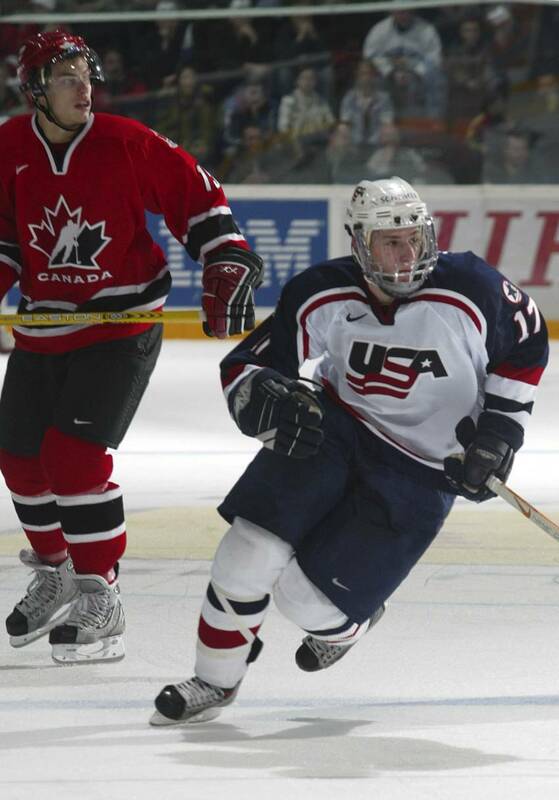 The special moment also prompted remembrances of Kesler’s two seasons, from 2000-02, with NTDP. Kesler was also a game-changing type. He completed his NTDP career recording 99 points in 131 games, and was a star on the international stage, where he helped Team USA win two gold medals. The centre was named best player of the 2002 IIHF U18 Men’s World Championship with seven points in eight games as the U.S. won its first gold medal in U18 competition. He also struck gold at the 2004 World Junior Championships in Helsinki. It wasn’t just the ability to put up points that made Kesler, who went to play one season of collegiate hockey at Ohio State, a valuable competitor. Longtime NTDP equipment manager Brock Bradley, who completed his 1,000th game with the program in March 2017, marveled at what Kesler delivered, on and off the ice, during his two campaigns there. “He’s just a really good human being and a really good teammate,” recalled Bradley. “You knew right away he was going to be a pro in seeing how he handled himself and treated people around him. He’s just a warrior. He was that way when he was 17. He just worked so hard every day. Kesler, who has twice represented the U.S. at the Olympic Winter Games, including the 2010 silver-medal-winning squad, is now in his 15th NHL year. Drafted 23rd overall by Vancouver in 2003, he played in 655 games with the Canucks before being dealt to Anaheim on June 27, 2014. Closing in on 600 career points, Kesler has made two All-Star game appearances and won the 2011 Frank J. Selke Trophy as the league’s best defensive forward. The self-described “scrawny kid” that joined the NTDP has carved out an impressive NHL career. Which makes Kesler an unpopular player to line up against. One that thing that hasn’t changed, however, is the person that helped create a winning culture at NTDP.